Grimsby Town defender Aristote Nsiala has signed a new one-year deal. The 23-year-old made 44 appearances for the Mariners in 2014-15 after joining on a free transfer in June last year. 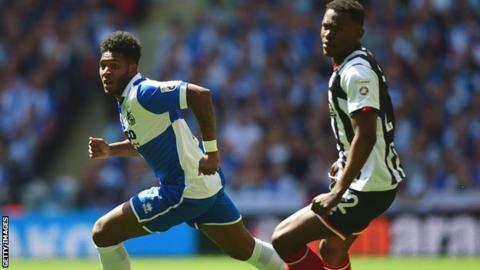 The former Everton trainee helped the Blundell Park side reach the play-off final, where they lost to Bristol Rovers on penalties. He told the club website: "I'm pleased to join all the boys again. That's the main thing the boys, the gaffer and obviously the fans as well."